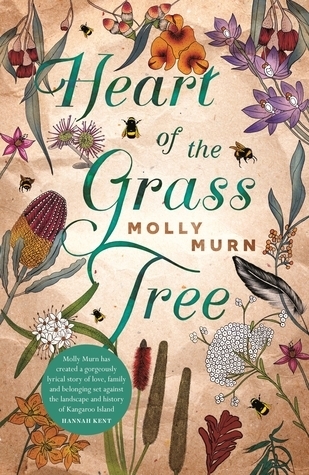 The Heart of the Grass Tree is set on Kangaroo Island in South Australia and follows multiple generations and their lives on the island. The author, Molly Murn creates a portrait of how we are shaped and moulded by our past, both personally, historically and culturally. In the aftermath of Nell (grandmother, mother, widow, artist & local) dying, her family return to Kangaroo Island to mourn and come to terms with her death. Hidden myths, stories and secrets unfold. We learn of the families struggle to build a sense of connection and belonging. There is a fascinating portrayal of the island's early history, including the European sealers and their first contact with the Ngarrindjeri people. This story speaks of a profound sense of absence as a mother cries for her stolen baby, a daughter cannot put a name to her sense of alienation, a local indigenous culture mourns for stories that have become disintegrated and lost. The author gives voices to the seal hunters of the early 1800s who held indigenous women captive (the women are known as gins). In the process, creating a nuanced picture of a time of violence (to animals and people) in an isolated place. This book has been lovingly crafted as each character is woven together and exposed in a cycle of trauma and loss. The book is refreshingly easy to read as the author has a gift for writing about nature, akin to the style of Inga Simpson (Mrs Wigg & Where the Trees Were). 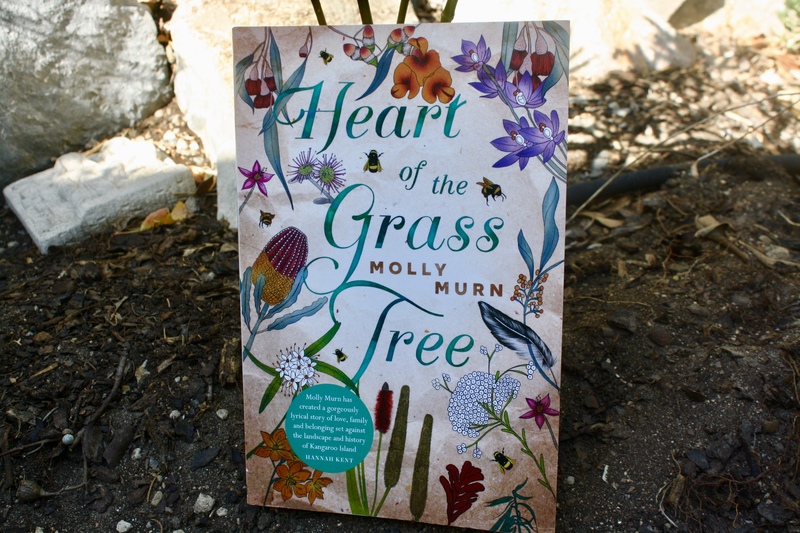 Molly Murn's lyrical words sing off the page. One of the most delightful aspects of this book is recognising many of the South Australian places. Kangaroo Island comes into focus as both past and present align. The book is prefaced with a map of Kangaroo Island, which will assist those not familiar with the geography. In addition to this, the book is bookended by poetry adding to the lyrical nature of the story told. Attention to detail is a hallmark of this new author's work, as a glossary of Ngarrindjeri terms is included at the start. The author's attention to detail extends further with an explanation of the context of this story and the research involved in the postscript notes. The Heart of the Grass Tree portrays a poignant, poetic and engaging compendium of lives converging. Definitely, an author to watch.